By Brian Hoey. Jul 15, 2017. 9:00 AM. Deconstructionism is one of the most significant intellectual movements of the 20th century, having helped to usher the post-structuralist era and having had wide implications for the study of history, literature, and philosophy. As a method for criticism, it has been practiced by Paul de Man, Geoffrey Hartman, and J. Hillis Miller, but the term and technique were both originally coined by Jacques Derrida in his seminal work Of Grammatology (1967). For all of its influence on the intellectual landscape of the 20th and 21st centuries, however, it can be a difficult concept to describe or understand. For starters, however, Derrida’s version of what deconstruction means is simple: everyone is basically just MacGyver. In his book The Savage Mind (1962), which deals with the creation of myth and mythology, the French structuralist philosopher Claude Lévi-Strauss attempts to illuminate the difference between modern, scientific understanding and “less advanced” ways of thinking and understanding the world by using the example of the engineer and the bricoleur. When faced with a problem that needs to be solved, the engineer ostensibly draws on her vast intellectual resources to understand the problem, develop a solution, and carefully pick out the materials and techniques that will best facilitate that solution. The bricoleur, by contrast, may not even fully understand that problem that needs solving, but will create a solution out of whatever happens to be at hand, regardless of its suitability (the implication being that less scientific minds will develop mythologies because they only have their own limited cultural understandings with which to understand the cosmos). The bricoleur is a complex figure for Levi-Strauss, but on some level, he’s essentially just MacGyver. 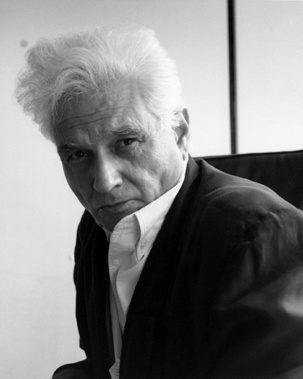 Once structuralism had established that everyone is, so to speak, either MacGyver or an engineer, Derrida’s great contribution to theory was to suggest that, actually, there are no engineers. There’s just MacGyver. Everyone is constantly cobbling together their own limited understandings (of texts, for instance) based on whatever happens to already be in their heads, creating makeshift solutions to problems they only tenuously grasp. Why? Because language is perpetually delaying meaning. For Derrida, words don’t signify anything by themselves, but only derive meaning from their placement relative to other words (in a sentence, say), which are themselves only meaningful in terms of the words that come before and after, and so on ad infinitum. As an example, trying to understand a text is akin to looking up a word in the dictionary, then looking up all of the words in the original word’s definition, and then all of the words in those words’ definitions, etc. The hypothetical reader would either look words up ad infinitum or get caught in a loop, either way failing to get a complete grasp of any of the words. It is perhaps fitting that a theory about the impossibility of meaning is so hard to define, but the upshot of Derrida’s idea is that the meaning of a text begins to collapse when you strip away the cultural assumptions that underlie the work and the act of reading—and that even the words that comprise the text erode their own meaning, accidentally undercutting the message of whatever book or essay they comprise. In addition to its impact on literary theory, it’s had wide ranging implications for the academy in general, helping to pave the way for thinkers like Michel Foucault and Noam Chomsky who leveraged Derrida’s skepticism of any and all assumption into astute social criticism and theory. And while the whole thing might seem a bit nihilistic (and it’s certainly true that Derrida claimed Nietzsche as a philosophical ancestor), the idea that we all might be bricoleurs when it comes to meaning-making might not be so bad. After all, MacGyver may have been no engineer, but he usually managed to save the day anyway.